Discover interesting and fun facts about Canada. 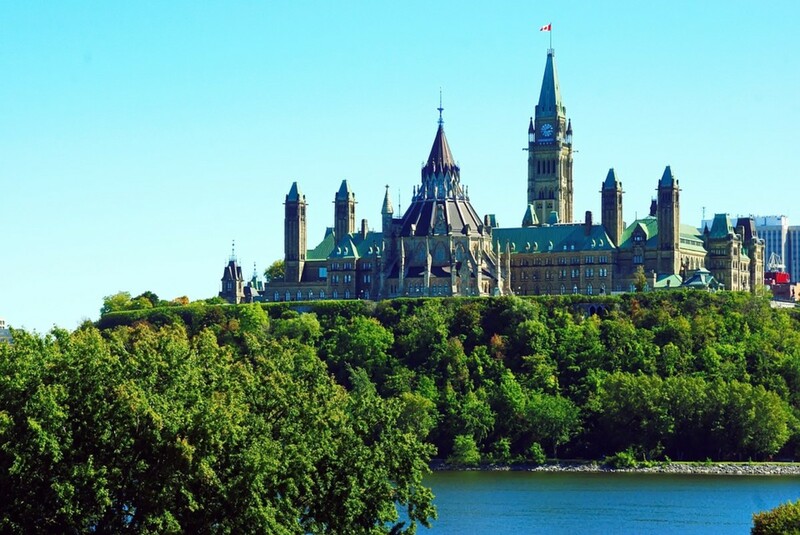 Learn about the Canadian landscape, government, anthem, literature and food. Did you know Canada's motto is A MARI USQUE AD MARE (It means from sea to sea. )?Or were you aware that Canada's official colors are red and white? Our official colors were the result of King George the fifth's proclamation of the arms of Canada in 1921 and our official colors are displayed on the Canada flag. Sports fans might be interested to know that our official sport of Canada was declared on May 12, 1994 to be Lacrosse in the summer and Hockey in the winter. Animal lovers might enjoy knowing that the official horse breed of Canada is the aptly name Canada Horse. It was recognized as the national horse on May 2002 by an Act of Parliament. Continue reading this page to find more fun and interesting facts about Canada. The Official Canadian Flag was adopted in 1965. If features two red bands with white square with a stylized 11 point maple leaf. The Canadian Flag was designed by George Stanley and John Matheson. Their design was based on the flag from the Royal Military College of Canada. The flag was officially unveiled on February 15, 1965. 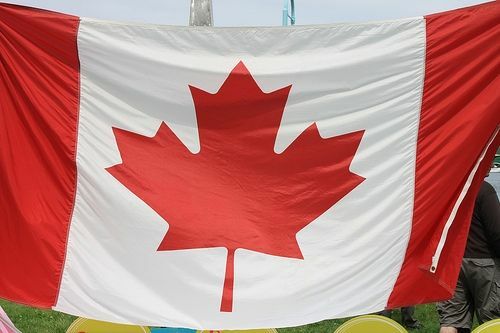 Today we celebrate this date as National Flag of Canada Day. Canada is the second largest country in the world. Russia is the first. Canada is made up of ten provinces and three territories. The ten provinces are named British Columbia, Alberta, Saskatchewan, Manitoba, Ontario, Quebec, New Foundland, New Brunswick, Nova Scotia and Prince Edward Island. The three territories are named Yukon, Northwest Territories and Nanavut. When you consider land mass and bodies of fresh water Nanavut's total area is the largest in Canada. It represents 21% of the national total area. Prince Edward Island makes up .1% of Canada's total area making it the smallest province in Canada. It is important to note that Ontario has only 10.8% of Canada's total area but most of Canada's population (about 38% of the total national population) lives in the province. "O Canada, our home and native land" are the first words sang in the Canadian National Anthem. The song is played at sporting events, over the PA at schools and to represent Canada on a world stage. Theodore Robitaille, Lieutenant Governor of Quebec, commissioned the song for Saint Jean Baptiste Day in 1880. Music was created by Calixa Lavallee and the words were written by the judge and poet Sir Adolphe-Basile Routhier. Lyrics were originally written in French and translated into English. In 1908 Robert Stanley Weir wrote an alternative English version that is considered the most popular version of the song. By 1935 the song was commonly used to represent Canada; however it was not until 1980 that the song was made Canada's official National Anthem. Some of the Canadian Anthem lyrics - the English version - have been called in question. The line "our home and native land" has been found problematic because not everyone in Canada's mosaic has been born in Canada. 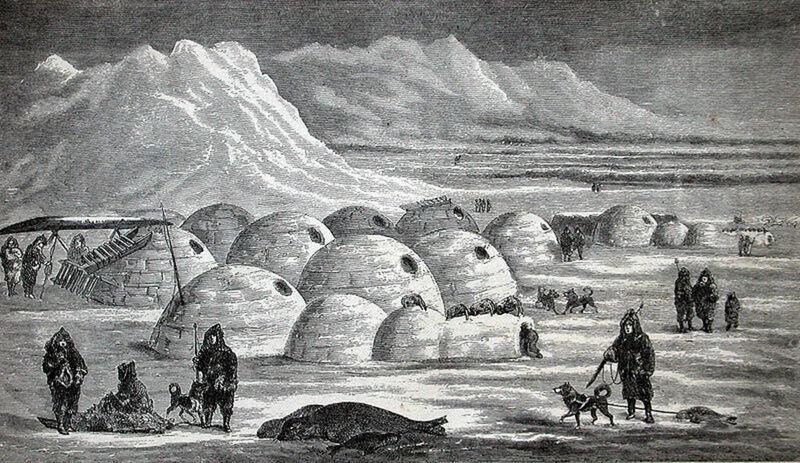 It was suggested that the words be changed to "our home and cherished land." The other line that some wish to alter is the lyric is "in all thy sons command." This lyric is sexist and is exclusionary. The suggested change would be "in all of us command." Should Canada Adjust Our National Anthem? Language is the way we communicate with the world. It can reveal old prejudices and archaic points of view that have not completely vanished. Some say words have no power and that there is no real need to adjust our National Anthem and to just let it stand. I think it should be amended. After all we know words can hurt - just ask the bullied kid on the playground - and to exclude people in a song that represents the country of Canada seems like a black mark on the fabric of our country. Should the English version of O Canada be amended? John A. Macdonald (1815 - 1891) was Canada's first Prime Minister. Macdonald was born in Scotland and immigrated to Kingston Upper Canada (now Ontario).He served as Prime Minster from July 1, 1867 - November 5, 1873 and then again from October 17, 1878 - June 6, 1891. He lost office for 5 years in the 1870's due to the Pacific Scandal. This is the second volume in the John A. Macdonald biography written by Richard J. Gwyn entitled Nation Maker: John Macdonald: His Life, Our Times. This volume picks up after the first day of Confederation in 1867. 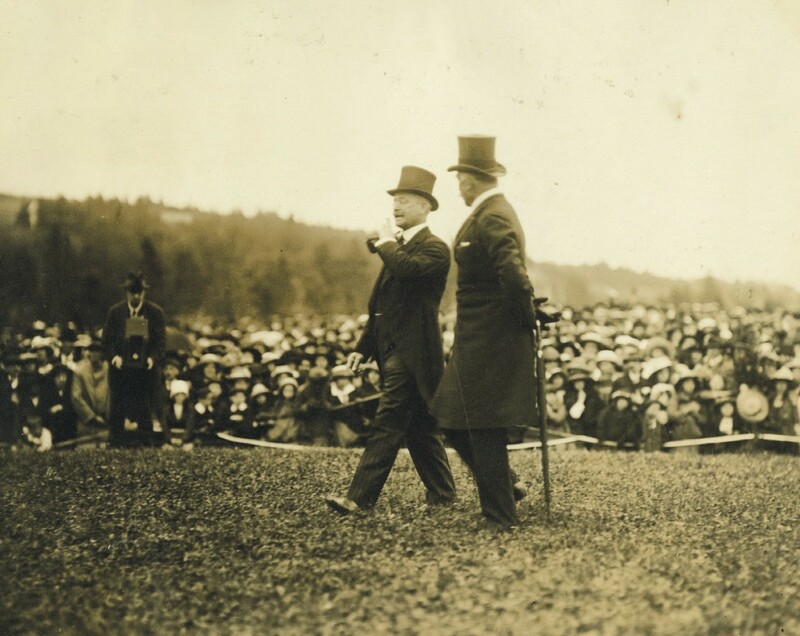 The book provides a detail reference of how MacDonald shaped Canada. 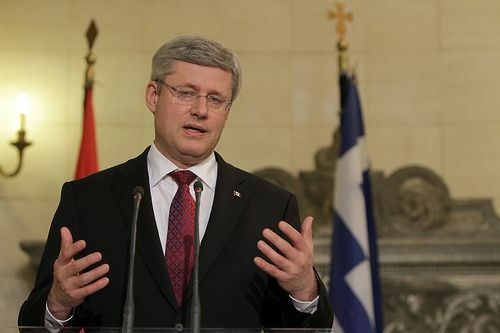 Stephen Harper became Prime Minister of Canada in 2006 as leader of the newly reformed conservative party. The party was the resulting merger of the Progressive Conservative and the Canadian Alliance (formerly the reform party). They formed a weak minority government. In 2008 after the federal election Harper served as Prime Minister with a strong minority government. 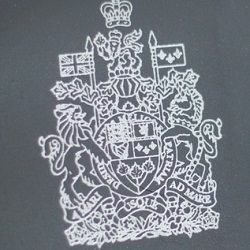 The 40th Parliament came to a conclusion in March 2011 when the Harper government failed a no-confidence vote on the issue of the Cabinet being in contempt of Parliament; however, 5 weeks later on May 2, 2011 Harper's conservative party would win their first majority government. It also marked the first time the New Democratic Party lead by the late Jack Layton made official opposition status. In Newfoundland you can find local delicacies such as cod tongue, caribou steak and seal flipper pie. Canada has one castle within its borders called Casa Loma. Casa Loma features 98 rooms and secret passages and underground tunnels. It is no wonder Tim Hortons is a big success in Canada when you consider that Canadians have be said to consume more donuts per person that any other country. Fort McMurray, Alberta has the second largest oil reserves in the world. French is spoken by about six million people in Canada. At the Calgary Stampede more than 200,000 pancakes are served to visitors each year. Toronto Ontario is Canada's biggest city. Quebec City is the capital city of Canada. Quebec City was founded by French explorer Samuel de Champlain over 400 years ago. At the time Quebec city was just a fort. 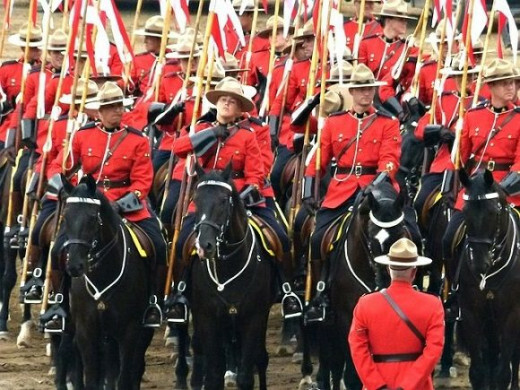 Image of the Royal Canadian Mounted Police sitting on horseback holding the Canada flag. 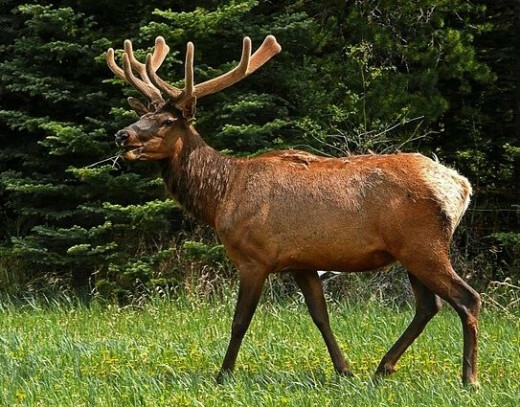 The Royal Canadian Mounted Police serve as an agency to the Ministry of Public Safety Canada. They are Canada's national police service. Members o the Royal Canadian Mounted police can be distinguished by their red jacketed uniform. It is important to note that the RCMP is a national, federal, provincial and municipal policing agency. It has contracts with all 3 territories and 8 out of the 10 provinces. Ontario and Quebec are the two exceptions. 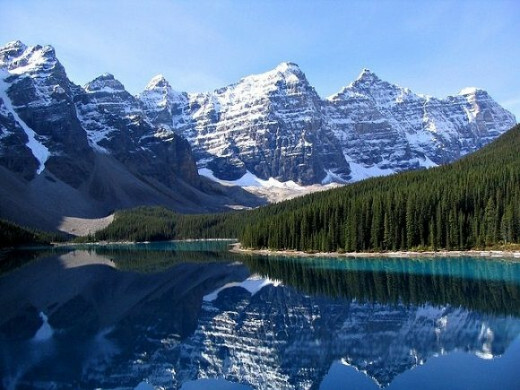 The Canadian Rocky Mountains or the Rockies boast picturesque scenery. The Rockies is the name given to the collective group of mountains in western Canada. 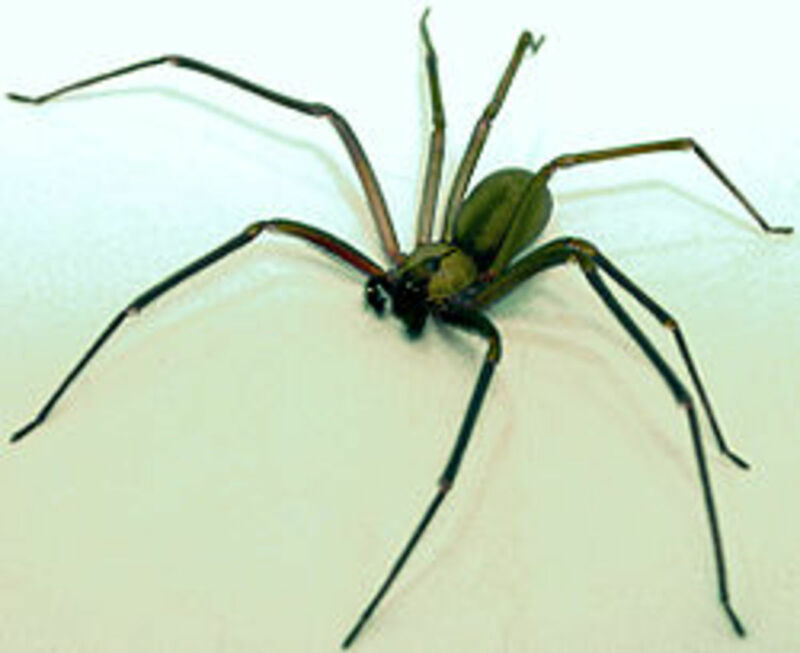 They extend from the Interior Plains of Alberta to the Rocky Mountain Trench of British Columbia. 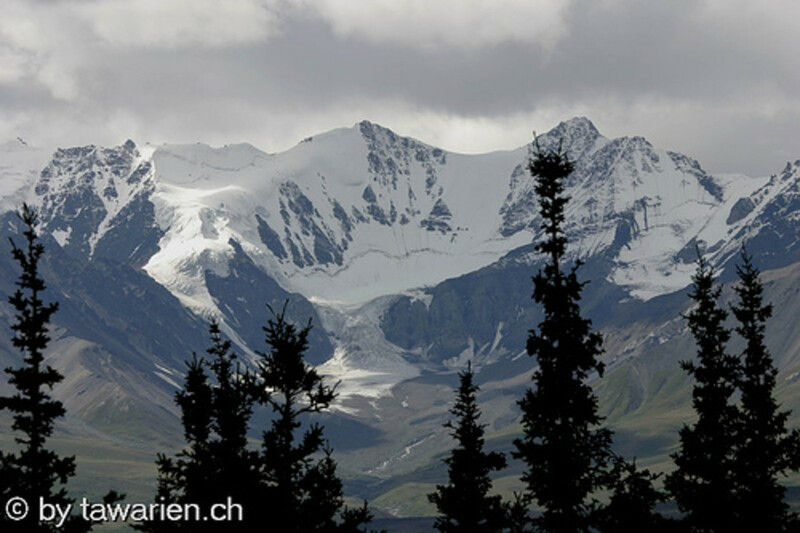 Mount Robson is an example of the high peaks that can be found in the Rockies. Image of Moraine Lake nestled among the Valley of Ten Peaks in Banff National Park. Located in Alberta Canada. Is seeing a polar bear in the wild on your must see list? You can check it off your list by traveling to Churchill during October and November. This is the best time to see the polar bears because during these months the polar bears are moving from their summer habitat on the tundra to go seal hunting. They do this on pack ice that covers Hudson Bay during the winter months. 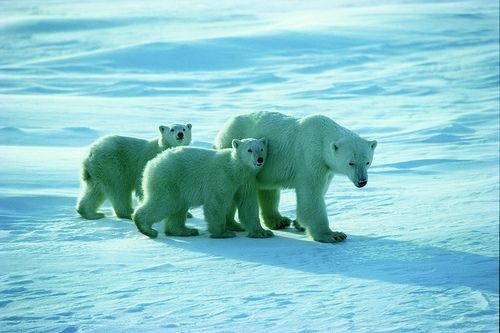 Above is a picture of a mother polar bear and her two cubs parading around the shoreline of Churchill. To learn more about Churchill's Polar Bears and Beluga whale watching check out everythingchurchill.com. While in Churchill do not forget to check out the Northern Lights. In Niagara Falls Ontario Canada we are lucky enough to see views of all three of the waterfalls. 2/3's of Horseshoe Falls, the largest of the three falls, lies on the Canadian side of Niagara Falls while the American Falls and the smaller Bridal Veil Falls are located on the American side of Niagara Falls. 90% of the Niagara River flow over the Horseshoe Falls. The Horseshoe Falls were named for the horseshoe shaped that spans 671 meters. The river passes over the crest at about 32 km per hour. 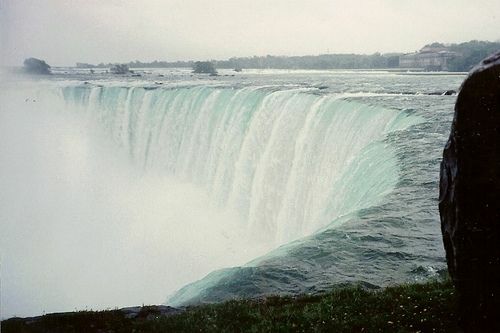 The Horseshoe falls is 53 meters high. It is said that Niagara Falls developed after the last ice age when water from Lake Erie made a channel towards Lake Ontario. You can get up close to the Horseshoe waterfall by taking the Maid of the Mist boat ride to the bottom of the falls. For more details about Niagara Falls attractions check out Niagrara Falls Tourism. Note: At night Niagara Falls is lit up with colored lights. The Witch's Hut - Place to Visit! The Kildonan Park Witch's Hut can be found in Winnipeg, Manitoba. It is nestled among the hundred year old elms. The hut tells the story of Hansel and Gretel. 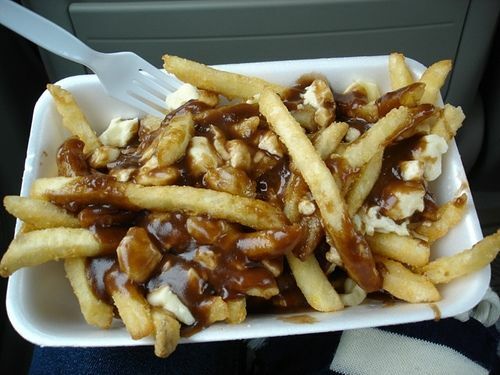 Poutine is a Canadian dish. French Fries are smothered in cheese and gravy. Yum! All around the Canadian landscape you can find Tim Hortons. Tim Hortons is a coffee and donuts franchise. The First Tim Hortons restaurant was opened by Tim Horton (Canadian Hockey player) and Jim Charade. It was originally called Tim Hortons Donuts but was eventually changed abbreviated to Tim Horton's. The apostrophe was eventually removed. In 1992 Tim Hortons merged with Wendy's. This merger continued until September 2006 when Wendy's passed all of their remaining Tim Hortons shares onto their shareholders. In September Tim Hortons Inc. announced it had reorganized itself as a public Canadian company. Today Tim Hortons is Canada's leading food service provider. In July 2012 Tim Hortons had 3,326 where customers could enjoy their double doubles and Timbits. 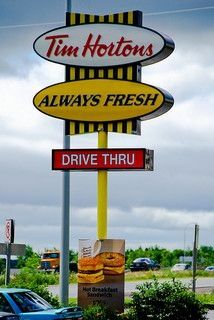 Tim Hortons Drive Thru by baekken, on Flickr reproduced under Creative Commons license CC BY 2.0. Anne of Green Gables (1908) penned by Lucy Maud Montgomery is one of the best known stories in Canada. It chronicles the life of the engaging Anne Shirley who comes to live in Avonlea, a small town in Prince Edward Island. Looking for help with their farm Marilla and Matthew Cuthbert of Green Gables send for an orphan boy. When Matthew goes to pick up the orphan he discovers a mistake was made as they sent the red headed girl Anne Shirley instead of a boy. Anne with her wit and free spirit soon win over the hearts of Marilla and Matthew and eventually all of Avonlea. 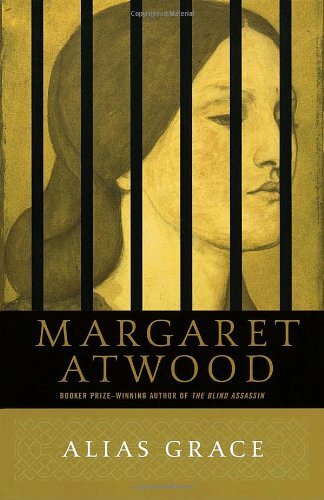 Atwood is responsible for over fifty works. She has written poetry, children's literature, fiction, and non-fiction; though, she is best known for her novels. Her novel The Blind Assassin won the Booker Prize in 2000. Her writing has been published in over 40 languages including Japanese, Turkish and Finnish. Margaret Atwood founded the Writers' Trust of Canada, to help encourage writers. She believes Canadian writers help form the Canadian identity. Quote from Atwood talking about being a Poet at the Waterstone's Poetry Lecture at Hay On Wye. Wales, June 1995. "My own theory is that poetry is composed with the melancholy side of the brain, and that if you do nothing but, you may find yourself going slowly down a long dark tunnel with no exit. I have avoided this by being ambidextrous: I write novels too." Polar bears, poutine, and Tim Horton's -- O My! I enjoyed your lens, nice work. Thank you for sharing it. I don' understand why they are making fun of Canada in How I Met You Mother. Looks like nice country. I really want to go to Canada some day, it seems really nice up yonder. Didn't realize it was the second biggest territory. Pretty neat! Wonderful lens, especially for who, like me, never saw Canada. One day I will come, it's a promise! Very nice lens. Canada is steep in tradition and having been there many times, the people and the scenery are wonderful! I visited the Rocky Mountains 3 years ago. Reading your lenses brings nostalgia of my wonderful holidays in Canada. Thanks for letting us know- I have always loved reading Anne of Green Gables, but only after reading your lens, realise its set in Canada! It's only 10 o'clock in the morning here in Ukraine where I currently reside, I had my breakfast only 2 hours ago and you made me hungry with your photo of French Fries. Now what should I do about it now? Thanks for sharing, looking forward to visit your country.